Learn how nasal surgery can treat medical conditions such as a deviated septum or damage resulting form an accident in our latest blog post. When Are Nasal Surgeries Used To Treat Health Issues? 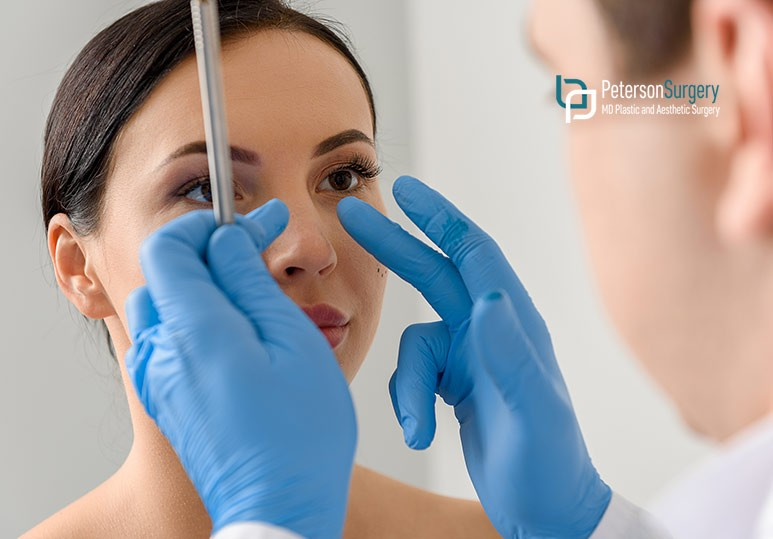 While it is often chosen for aesthetic reasons and to help patients become more confident in their appearance, nasal surgery may also be chosen to correct the result of an injury or congenital condition. For many patients, a cleft lip/palate is treated in early childhood. However, if complications arise, patients may require a secondary procedure when they are older, to create a more symmetrical or proportional appearance. In most cases, a broken or injured nose can be set without the assistance of a plastic surgeon. In some cases, however, the injury is not addressed quickly enough or heals poorly with time. This can lead both to functional problems with the nose such as a deviated septum, as well as a change in appearance. A deviated septum is when patient's nasal septum, which divides the nasal cavity of the nose, is off-center or crooked. This creates a significant imbalance in the size of their nasal passages. While most people’s septum isn’t perfectly centred, severely deviated septums can cause difficulty breathing, nasal congestion, sinus infections, and headaches. This condition is sometimes treated with a septoplasty, which aligns the septum, and might also be combined with a rhinoplasty to alter the appearance of the nose as well. When this procedure is combined, it is called a septorhinoplasty. Will My Insurance Pay For A Nasal Surgery To Correct An Injury? For many patients, cost is an important factor when it comes to deciding on a plastic surgery. Provincial healthcare programs, as well as insurance providers, typically only pay for procedures that are medically necessary. Therefore, even if you have both cosmetic and functional concerns, it is best to check with your provincial healthcare plan and insurance company to see which portions of the procedure are covered. If you’re considering a nasal surgery, whether for aesthetic or functional reasons, give our team a call. Our lead Kelowna Plastic Surgeon, Dr Brian Peterson, is highly experienced in cosmetic procedures and is also a faculty member at UBC, where he takes a strong interest in plastic surgery after injury, illness, or cancer. You can reach our team at (250) 868-9099 or through our online contact form.